My 4-year-old has an IEP for ADHD and attention/transition difficulties. Transportation is written as a related service in his IEP but the school claims they are “short-staffed” and cannot get him to his program in less than 1 hour after the start. This cuts his day from 5 hours to 4 and causes a problem for him as he tries to transition into activities that are already in progress. This related service is causing a problem. I need some guidelines. You are wise to do your research and look for guidelines on the transportation issue. Be sure to check your state’s special education regulations, your Head Start regulations/policy, and the local school district policy regarding transportation. To fill in any gaps, search for rulings from the Office of Special Education Programs (OSEP) and OCR, state due process hearing decisions, state and federal court decisions, state laws governing student transportation, etc. Read the complete Q & A, from Building the Legacy IDEA 2004, regarding transportation as a related service for students with disabilities. Question B-1: If a child with a disability spends a significant amount of time being transported to and from school, as well as to and from another location to receive special education and related services, is the child entitled to receive additional school time to make up for the time lost in transportation? Answer: … However, the IDEA defines school day as any day, including a partial day, that children are in attendance at school for instructional purposes. Additionally, school day has the same meaning for all children in school, including both those with and without disabilities. In general, a school day for a child with a disability should not be longer or shorter than a school day for general education students. However, if a child’s IEP Team determines a child needs a shorter or extended school day in order to receive FAPE, then appropriate modifications should be incorporated into the IEP. Question F-1: When is an LEA obligated to provide transportation for a preschool child with a disability between private day care and the child’s preschool? Answer: If the IEP Team determines that transportation is required to assist the preschool child to benefit from special education, and includes transportation as a related service on the child’s IEP, the LEA would be responsible for providing the transportation to and from the setting where the special education and related services are provided. Question G-1: Must an LEA provide appropriate information and assistance to the parents of a child with a disability who are seeking reimbursement for mileage expenses for transportation the IEP Team included in the child’s IEP? Answer: Yes. If a child with a disability is receiving special education and related services and transportation is included in the child’s IEP, the LEA must provide assistance needed by the parents to be reimbursed in a timely manner for the costs incurred in providing transportation. Many of the details about transportation are left to the discretion of the school – UNLESS the issue impacts the unique needs of the child. It would appear that missing part of the instructional day interferes with your son’s ability to benefit from the general preschool education program. Delayed start would make transition to activities difficult. Are there notes or data from classroom observation to support this concern? It is also recommended that ALL specifics about transportation be included in the IEP (i.e., specific circumstances under which transportation is to be provided (normal school hours, off-campus educational components, early or after-school instruction), the type of vehicle to be used in transportation, any specific equipment used in conjunction with the vehicle (any specialized or adaptive equipment), the nature and extent of the transportation (where the child is picked-up/dropped-off), personnel needed to assist in transportation (aides, monitors, health care personnel), and any transportation goals and objectives if transportation has an independent purpose beyond access to education. Request the IEP team reconvene to discuss the transportation issue, focus on the attention/transition concerns, and ensure all details are included in the IEP. As with every issue, these concerns should be documented in writing to the school and the IEP Team. This entry was posted in IEPs, Related Services and tagged Preschool, Related services, Transportation by Wrightslaw. Bookmark the permalink. I am having trouble with getting a IEP bus to get my kid to and from school We have to ride the city bus to her bus stop Shes AHD and I think her haviing you wake up 6 is affecting her abetting out at school more I already have her on a good diet No unnatural colors No BHA or BHT and I count her grams of sugar 4 grams or less when she has to go to school and she gets natural sugars (fruit) She has a good healthy breakfast before school and something healthy to have to eat when she gets to school Anyhow weekday can I do to get a IEP bus ? Isn’t it illegal not to have one? My daughter is 13 and in 7th grade. She has an IEP which states the she gets door to door service to and from school. Last year the bus was late or didn’t pick her up 28 times. Every time I called transportation I was on hold for at least an hour every time. I filed a due process at the end of last year. I had a resolution meeting a couple weeks ago. I have since received their proposed resolution. I do not agree with it. I have a hearing in about a month. I live in Las Vegas. Does anyone have any suggestions? We moved from a small town school to a large urban district. Our IEP from previous school stated no transportation accommodations needed, because we lived across the street from the school. Now we live ove 1 1/2 miles from school, qualifying for busing. The district says the only “special needs busing” they do is to have the regular bus pick him up at our house instead of down the block. My son has Autism, and the Previous IEP required a one-on-one para, including the para assisting in transitions to and from the school and classroom. The new district refuses to put a para on the bus wth him, stating his IEP said he didn’t need it. They will only consider it if we put him on the bus and he has a meltdown, which would likely involve police. Buses are independent company. Can they do this? Can a school only offer to provide reimbursement for transportation costs to parents & leave the responsibility for providing or lining up the actual transportation up to the parents? I appreciate this information so much! Very clear to the point, and with the legal cases stated for further support. I value Wrightslaw email, Yellow Pages, and books so highly. Thank you for supporting children with special needs, their families and those that assist them. More than a comment is a question, how long can they have my child in the bus, she is been hurting herself in the bus, she is in the bus from 2 hour to 2 hours in a half, she has ASD and ADHD. I am in San Diego CA.?? I am in California also and each district has its own answer to the length of time on the bus. The bad thing with California is our districts dont run/control the bus, its done with a 3rd party via contract and that company will almost always do as they wish. We have just moved to Washington state. My autistic child is used to curb to curb transport. We live in an apartment complex for the first time ever. They want to pick him up on the street about 100yds away. We are the only building set back and there is a drive through loop which passes in front of our building. Can I request they pick up here? I do not want him dropped off nor waiting that far from home. Coming from KONA it is cold and the morning transition, waiting long, or having to run will set him into crisis mode. Our son has transportation specifics in his IEP that include that the aide “must be” familiar and consistent to him.It also states that the adie must be willing to use visual cues and social stories.The bus company put a sub aide on the van to be trained by our son’s regular aide for only 1 day, and then placed the sub aide alone with our son.Our son has many issues, and this is not working out.The new sub aide is not a familiar or consistent indiviudal, and seems unwilling to engage with our son.Our son does not want to go to school now if he is the aide. So, I asked to drive and get reimbursed until the regular aide comes back and can continue to model and until our son becomes comfortable with the sub aide. I was told “no’. Now our son will not get on the van and this is impacting his school day. You can get reimbursed for “one-way” at the state rate. File a State compliance complaint immediately and request compensatory time for the time he has missed as a direct result of your son’s needs as stated in the IEP. Unless that IEP meeting is coming up within 2 or 3 days, I would document this and try to speed things up by sending the school a letter saying it is unfortunate the school is short staffed, but delaying his start time by an hour (or whatever) is shortening his school day and causing him to miss out on the service hours required by his IEP. State that the teacher is reporting that the change in routine is causing him trouble transitioning into classroom activities upon his late arrival. Add anything else, like his losing opportunities to practice social skills or whatever else might be a reason for his preschool IEP, or new behavior at school or at home due to his anxiety or unhappiness. Wrap it up with a request that they find alternative transportation, perhaps through a private company, as Debbie suggested. At the meeting, if the school still insists they are too short staffed, you might ask about private transportation. 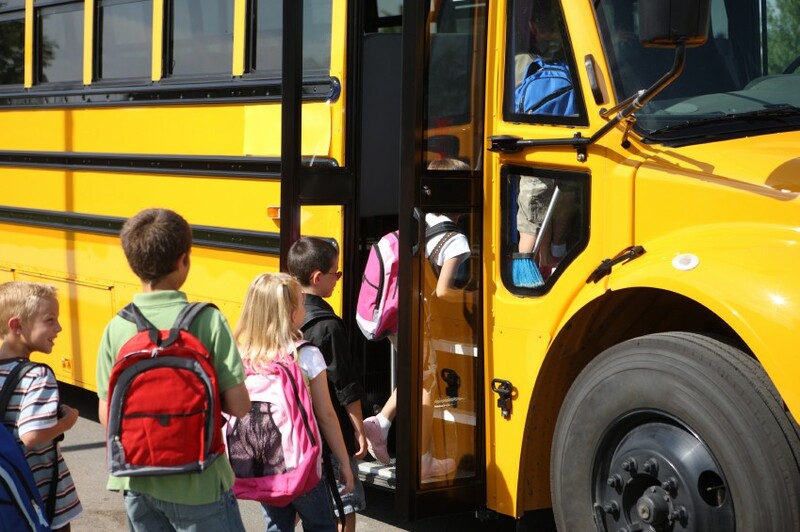 There are usually private transportation companies equipped to provide transportation to special education students. Faced with the additional expense, the school might discover a staff member to provide appropriate transportation.